Staff Selection Commission (SSC) organizes a number of examination for eligible and potential candidates at a national level every year. SSC CHSL is conducted for the recruitment of posts like Data Entry Operators (DEO), Lower Divisional Clerks (LDC), Posting/Sorting Assistants (PSA) and Court Clerks. 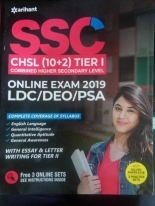 This book on SSC CHSL (10+2) for online exam 2019 Tier 1 for the post of LDC/DEO/PSA has been revised carefully and consciously to help aspirants get a good guidance to steer their exam prep into the right direction. 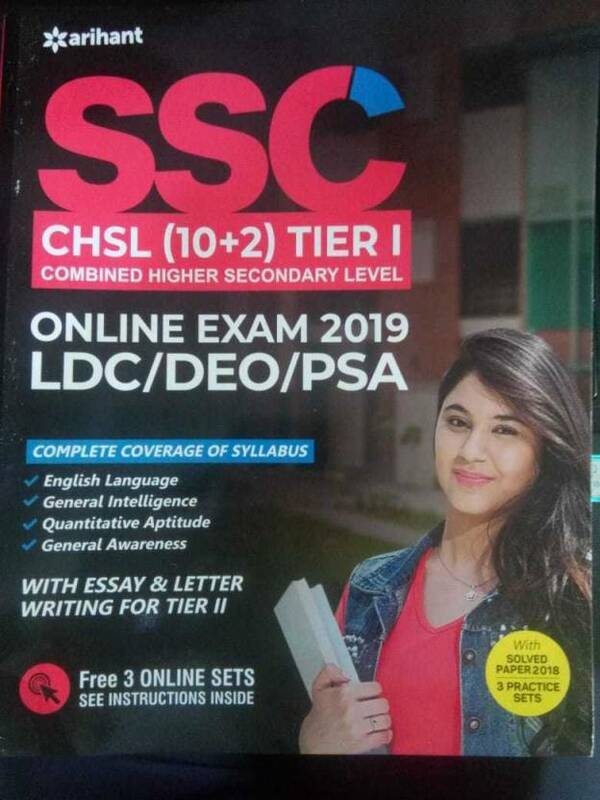 It covers the complete syllabus of Tier 1 including key chapters on English Language, General Intelligence, Quantitative Aptitude, and General Awareness in a highly comprehensive manner. Apart from this, it also includes Essay and Letter Writing to help aspirants for Tier II. 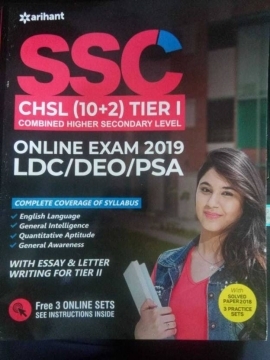 Housed with 4 solved papers including 2018 along with 3 practice sets and free 3 online sets, it is a perfect study package for those who are appearing in this upcoming examination. 67, Below Bridge, Gandhi Road, Ahmedabad 380001. Subscribe to our newsletter and receive exclusive shop news, announcements and offers! © 2016 Liberty Book Depot All Rights Reserved.